The beautifully rippled design of Sophie’s White Porcelain Gravy Boat & Stand is wonderfully tactile with an organic, hand made feel. 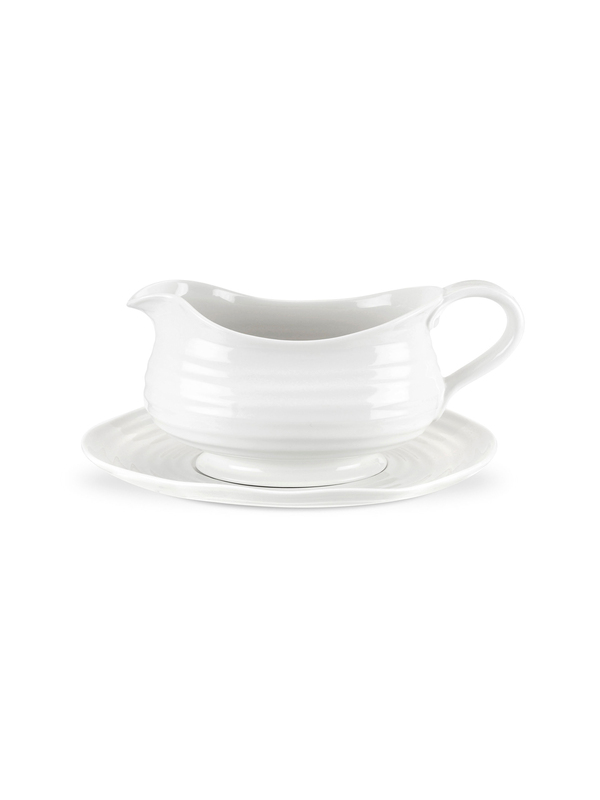 Sophie and her team designed this gravy boat to be generous and perfect for family get-togethers and feasts. Perfect for filling with gravy, sauces and sometimes custard.